The calendar says it’s spring, and warm weather is fast approaching the Minneapolis area, so right now would be a great time to consider enhancing your landscape’s beauty. Lovely spring colors may well ignite your imagination, especially with its natural shades of green and brown. 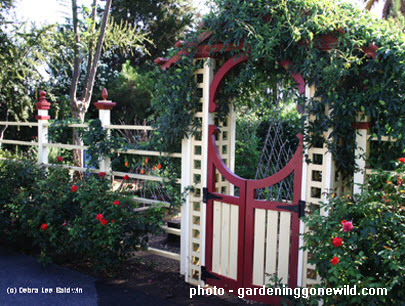 Let’s begin with a few tips on how to best achieve the beauty you seek in your yard. Art objects such as statues, bird baths, gazing balls, etc. Flowers placed in a bright container can be quite charming. Using pure shades for combinations with small flowers or a variety of green plants would work beautifully. You can also choose harmonious colors to combine them with large flowers. You can also select a multi-colored container, but your flower choices then are limited to the hues in the container (generally just pick one or two). Another lovely idea is a low decorative fence separating functional areas. You can liven up a dull brick or concrete walls by simply painting them. Natural wooden landscape elements have a tendency to lose their freshness in time. Why not paint them to update them with a spectacular accent? Painting can also be a wonderful way to draw attention to the decking, terrace or patio. If you’ve got wood patio furniture, consider painting it in a vivid spring hue. Colored stone or tiles can be used for paths to add color throughout a yard. Of course, these are just a few of the many ways to brighten up your yard. Here’s a previous post that explores the use of shrubbery to create year-around interest and color. Whatever your specific Minnesota landscape needs, as a licensed Minneapolis area landscape design and installation contractor, we’re always available to discuss your landscape dreams. Give us a call today at 952-292-7717 to arrange a free design consultation. We’d love to share our ideas for adding spring color to your landscape!